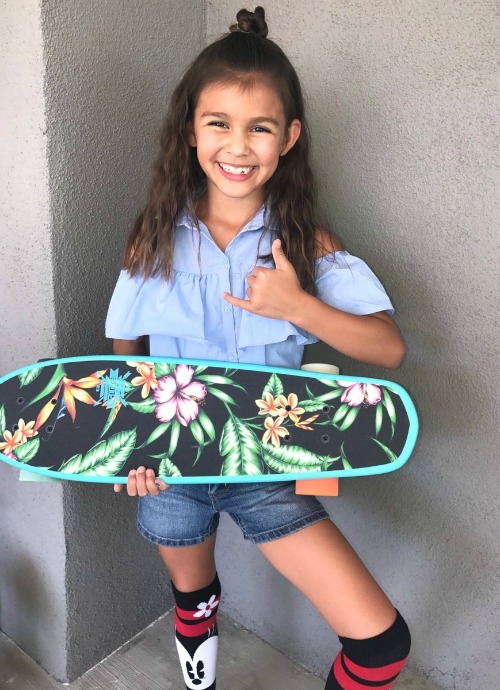 General Hospital spoilers indicate that Brooklyn Rae Silzer’s sister Londyn Silzer will be making her debut on the hit ABC soap this week. Londyn makes her debut on the September 20 episode of General Hospital. She plays Charlotte Cassadine’s friend and a scoliosis patient at Shriners Hospital for Children. Londyn Silzer is expected to appear in several different episodes. Apparently, Charlotte begs her parents Valentin and Lulu to visit her friend at the hospital. Valentin grants her daughter her wish, mostly because he knows what the little girl is going through. He suffered from scoliosis in the past as well. General Hospital has teamed up with Shriners Hospital for past storylines. Last year Liz and Jason’s son Jake was rushed to the hospital for orthopedic surgery after a car crash. Two years ago Spencer Cassadine was also a patient at the hospital. The young boy suffered burns from a fire that broke out during his birthday party. General Hospital airs weekdays on ABC. So far producers have made no comments on whether or not Londyn will join the cast or when Brooklyn (Port Charles’ Emma Scorpio-Drake) will return to the soap for that matter. According to her mother, Brooklyn has just started her first year of middle school and is focusing on her education. She did hint though that there’s a possibility that Brooklyn might return for short guest appearances during her school breaks. In the meantime, don’t forget to check back with CDL for all the latest news, updates and spoilers on General Hospital and all of your favorite daytime television series right here.